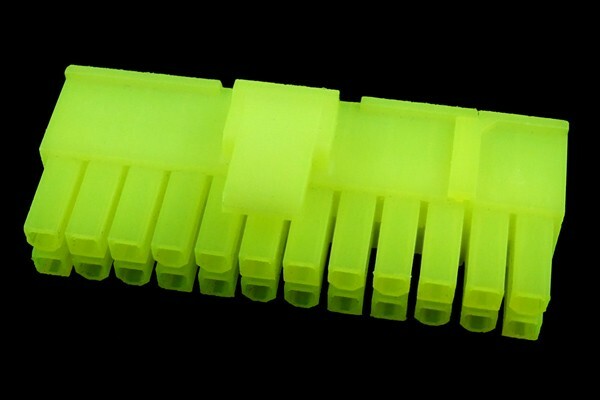 This connector is UV-reactive brite green. With the use of this connector the inside of your case can truly be completed to be a masterpiece of modding. This connector type is usually used for the power connection of Mainboards. Please note: If you have no more metal pins for this plug we recommend Art.No 82235 for the sockets and 82236 for the plugs.